Congratulations to Rockmount Choir (Years 4-6) for performing in the CSMA Junior Concert at Trinity School. 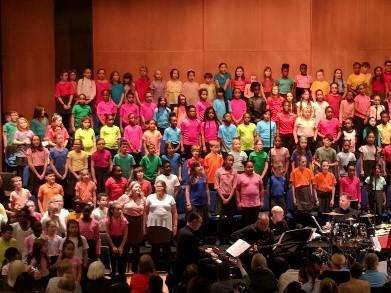 The choir joined forces with several other Croydon schools to form the CSMA Junior Choir. The children were all fantastic and demonstrated a huge amount of enthusiasm, effort and commitment. We are also looking forward to ending the Spring term with both the Rocksteady Concert and the Rockmount Orchestra’s debut concert.